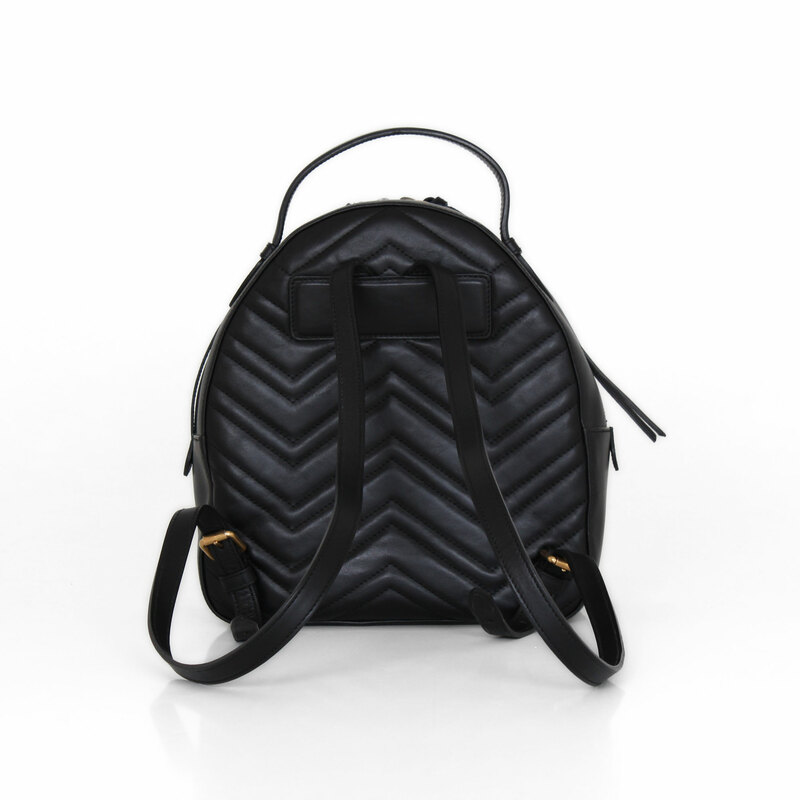 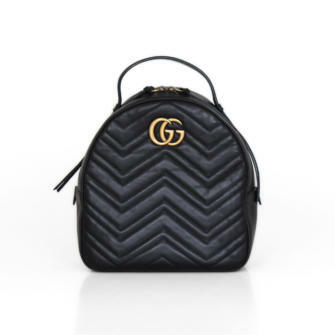 Showing a lightly structured shape, this Gucci backpack is the ideal bag to carry wherever you go! 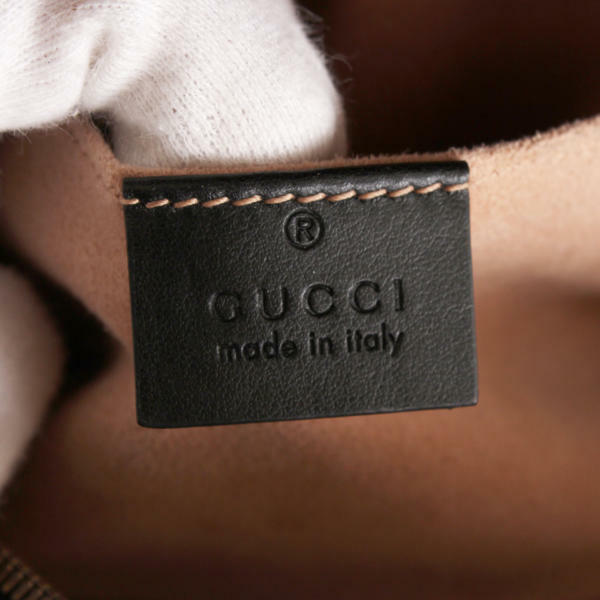 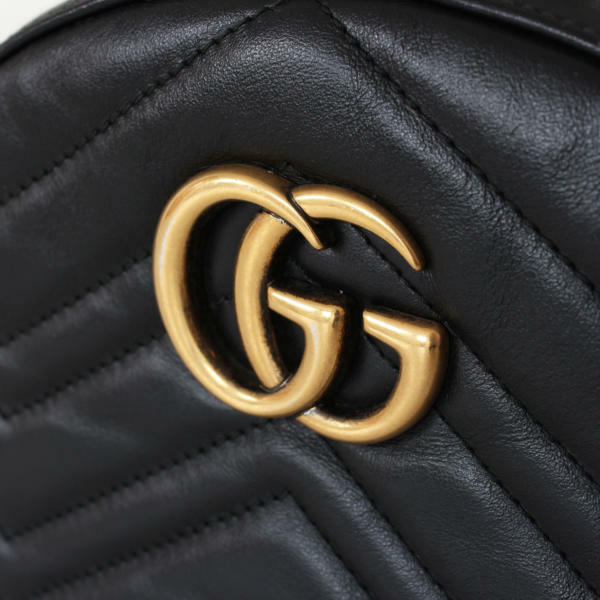 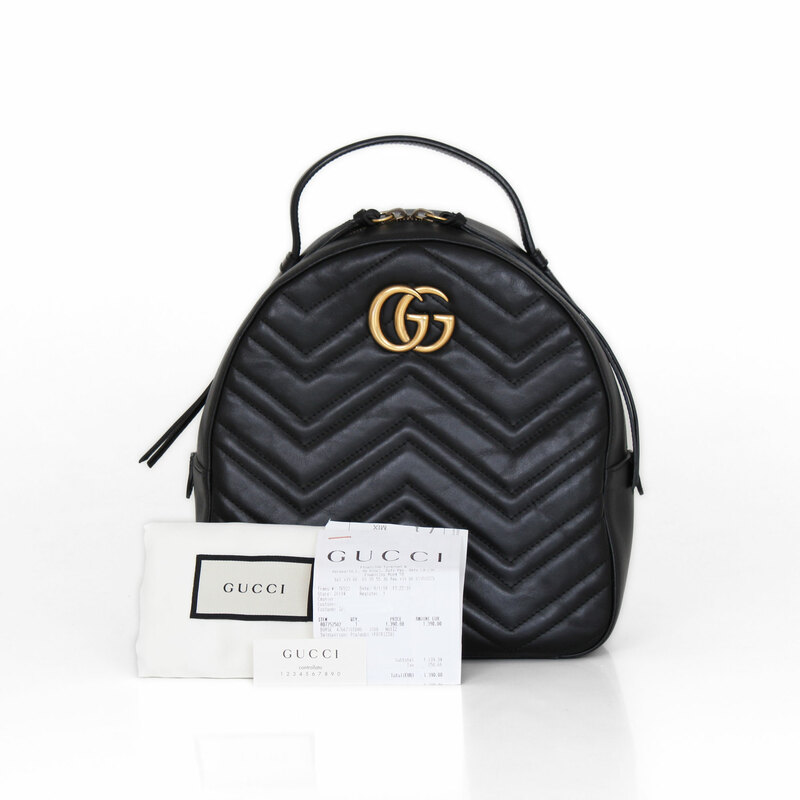 This Gucci backpack is crafted of black leather with the characteristic Marmont quilted pattern and the double G ornament on the front. 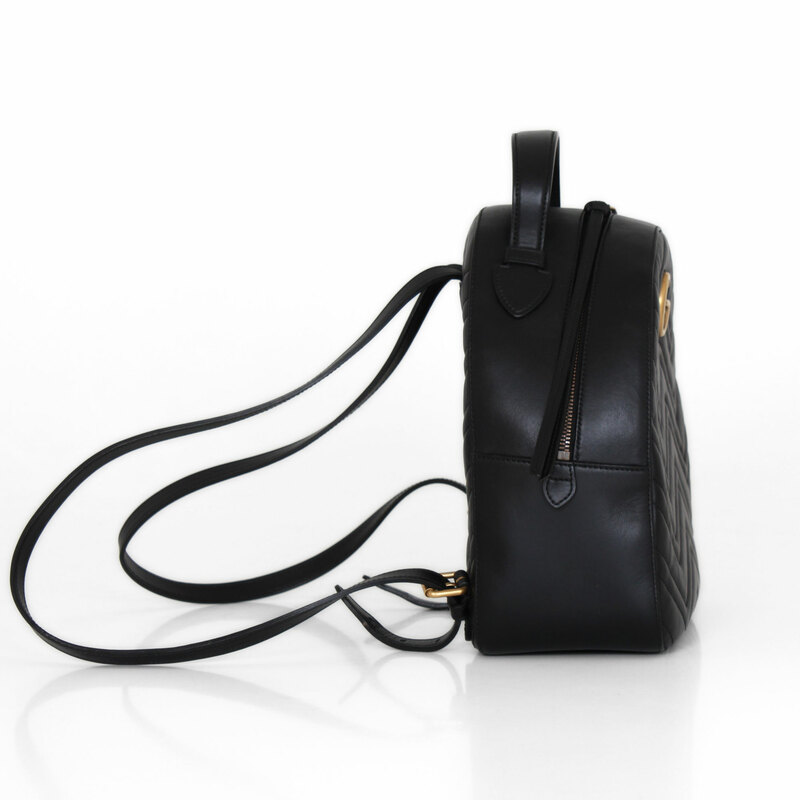 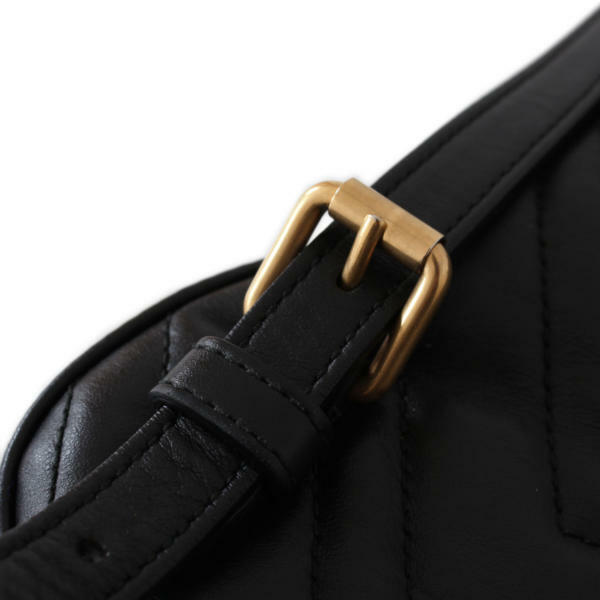 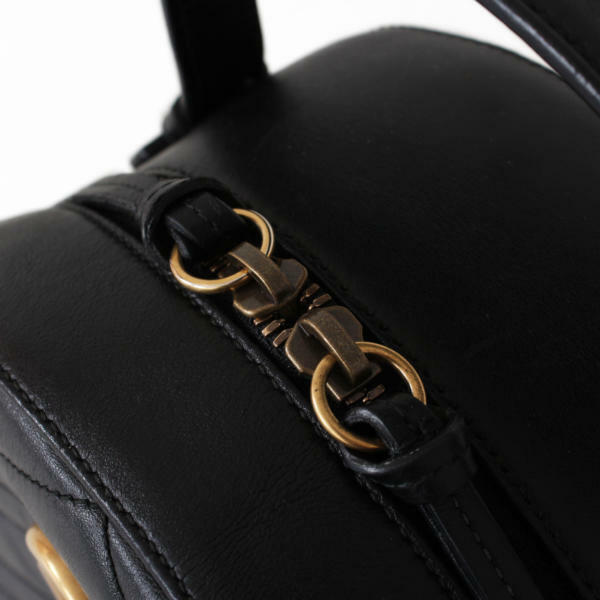 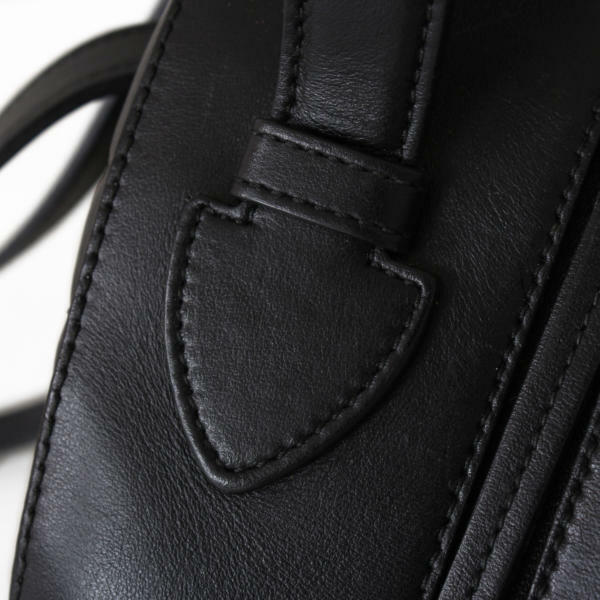 It features two adjustable straps for a perfect back carry and a top handle. 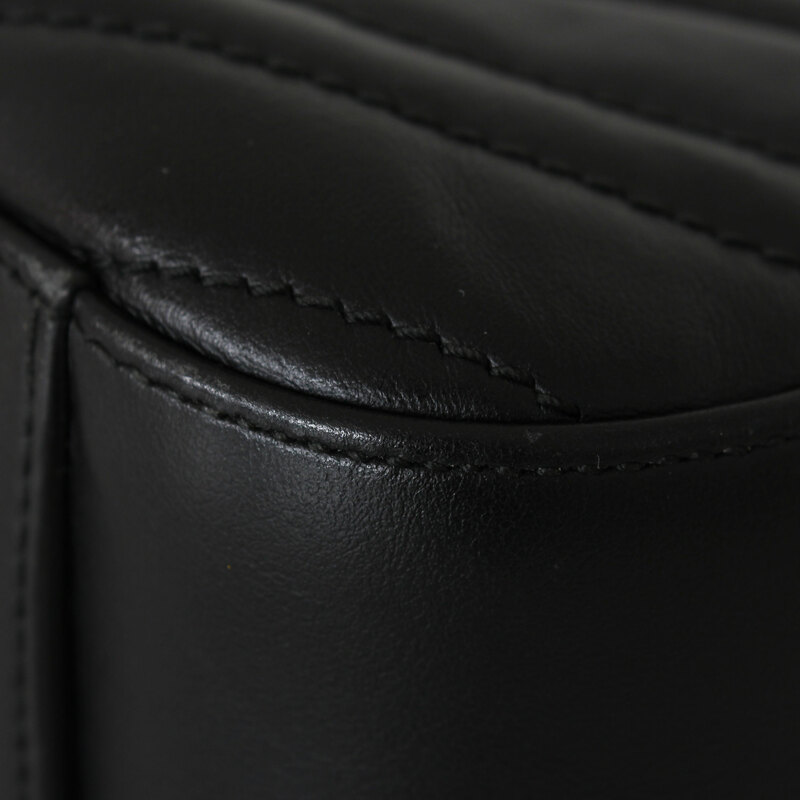 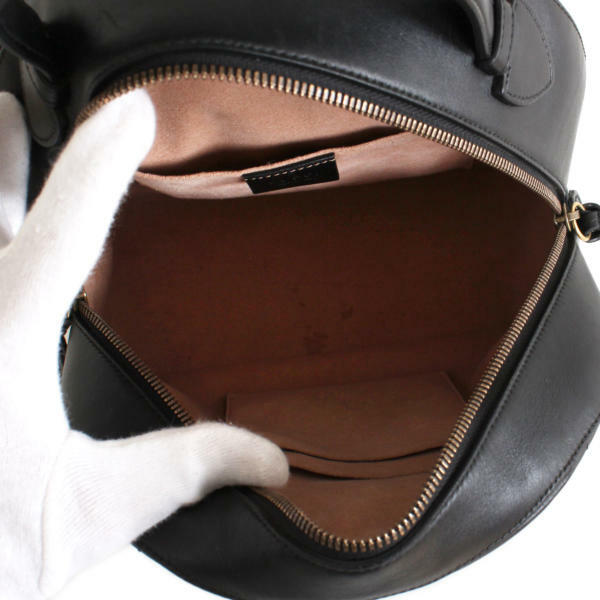 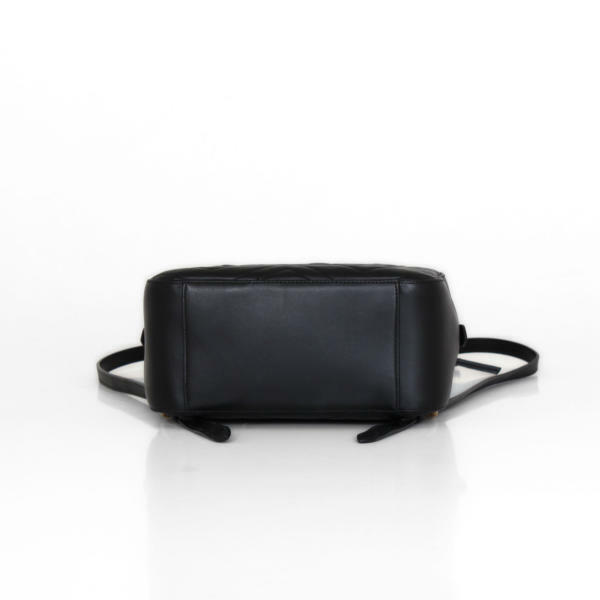 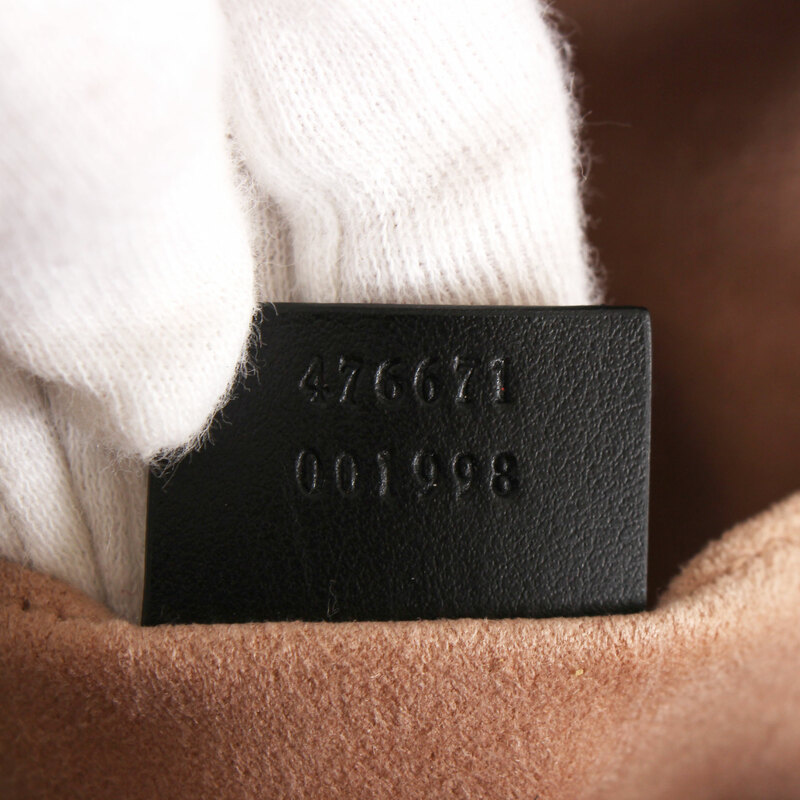 Its double zipper opens to a microfiber lined interior that features three flat pockets. 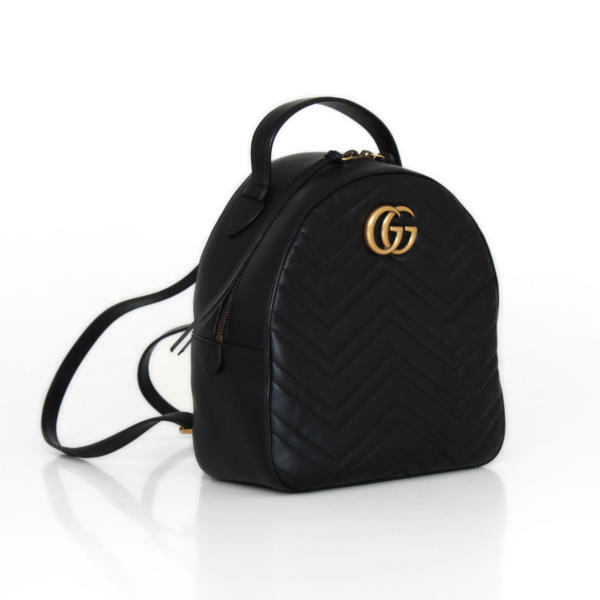 Light and roomy, this Gucci backpack is, without doubt, a luxury bag perfect to combine any casual outfit.